It is hard to find a proper documentation on internet for this topic and that is where i thought of posting this article as i expirienced Office Web Apps 2013 Deployment in Production. Microsoft Office Web Apps 2013 is now a fully Isolated Far which supports multiple and various Integrations such as SharePoint, Lync, Skype for Business and other Third Party Applications. basically, your single Web Apps Farm will serve OWA Capabilities for Multiple applications so that is simple for you to manage and Integrate. 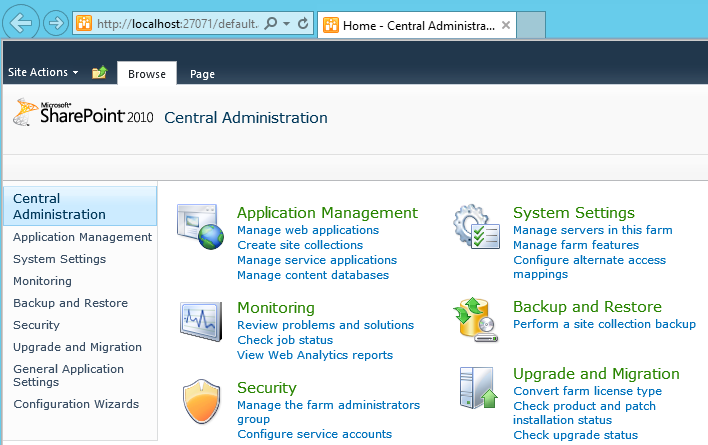 This Step by Step Guide will show you how to Setup an Office Web Apps 2013 Farm with High Availability and Security. The Naming and Certificates used in this scenario will be samples for demonstration purpose. You need to use meaningful names and obtain a valid SSL certificate for your scenario and environment. This Guide will cover the following requirements. 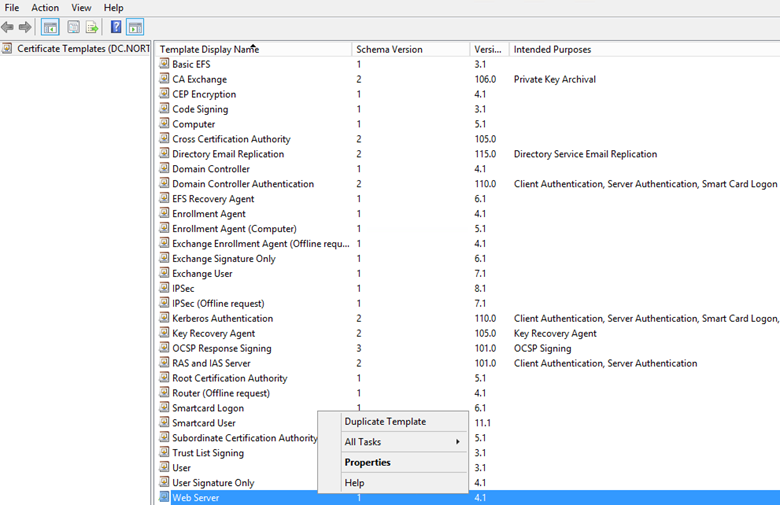 Setup Office Web Apps Farm with Better Security using SSL for HTTPS. It is highly recommended to use HTTPS for Production Office Web Apps Deployments as HTTP meant only for developmental and testing environments only. Before You begin with the Installation and Configurations, it is recommended to go through below references which may provide you all the basic information and knowledge about Microsoft’s Office Web Apps Server Product. 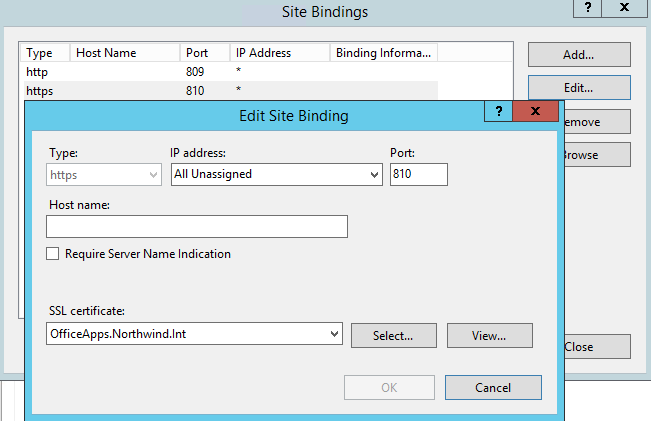 Two Database Servers holds Always on Instance for SharePoint Environment. Specifications of these servers are for Demonstration purpose only. Production Environments are highly recommended to meet Microsoft’s sizing requirements in order to get optimum performance and reliability. 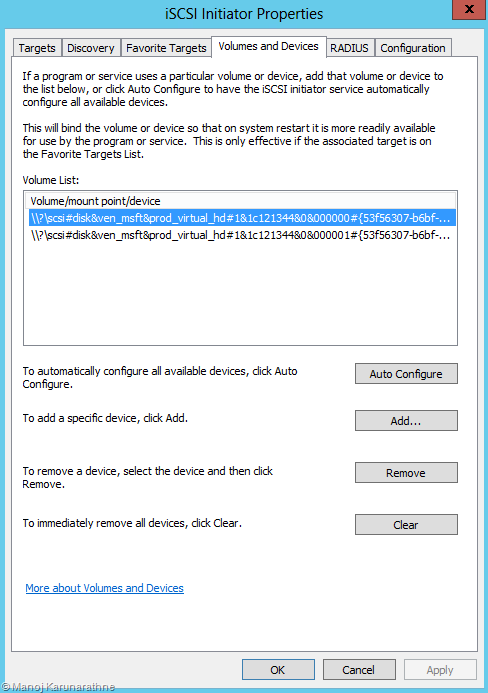 This guide uses windows NLB for demonstration purpose. In Production Environments, try to use a Hardware Load balancer which brings following capabilities if you are planning for more than one server for OWA. Production Environments are always having firewalls in between different zones. Depends on the zone you are going to place OWA Servers; you need to open following ports in order to make OWA function properly. Plan for Server Level Redundancy. 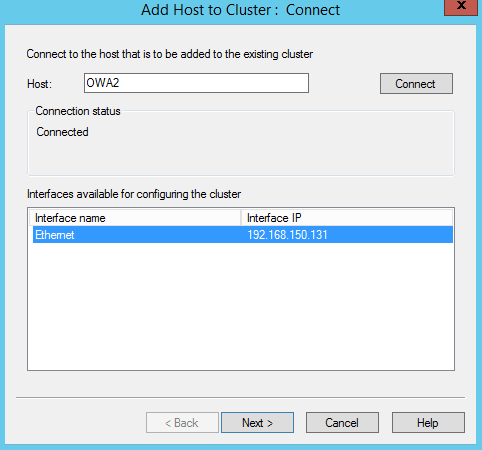 If You are using Virtual Machines to Host OWA, segregate them to separate Host Servers instead of Placing all in a one box (e.g. – OWA1 Hosted in Hardware Box A, OWA2 Hosted in Hardware Box B) so that if Hardware box A goes down in case, Yet the Box 2 Serves requests as OWA2 still runs there. Stick to one data center. Servers in an Office Web Apps Server farm must be in the same data center. Don’t distribute them geographically. Generally, you need only one farm, unless you have security needs that require an isolated network that has its own Office Web Apps Server farm. Office Web Apps Server/s Must Be Independent from other Applications and Services Such as SharePoint, Exchange, Lync, Skype4B. Do not try to deploy Office Web Apps on a sever which runs any of the above Applications and that is not supported. 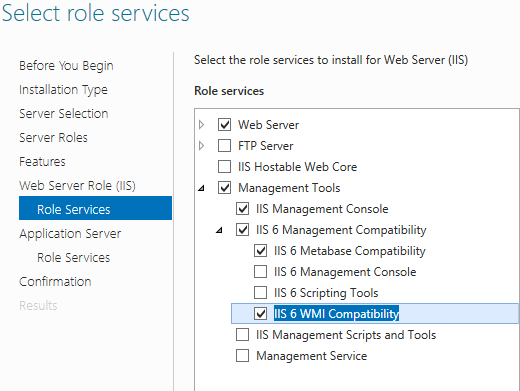 Don’t Install Any Services or Applications depend on IIS 80, 443 or 809 Ports because OWA frequently removes web applications on these ports in order to bring up the OWA Web Applications. 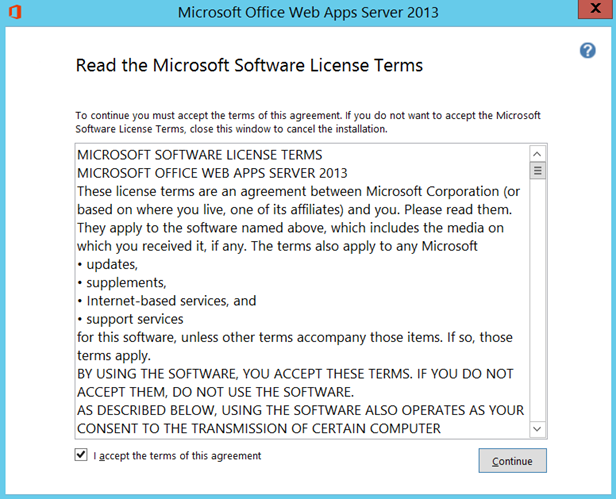 Do Not Install any office Client applications on OWA Servers as it is not recommended to be. 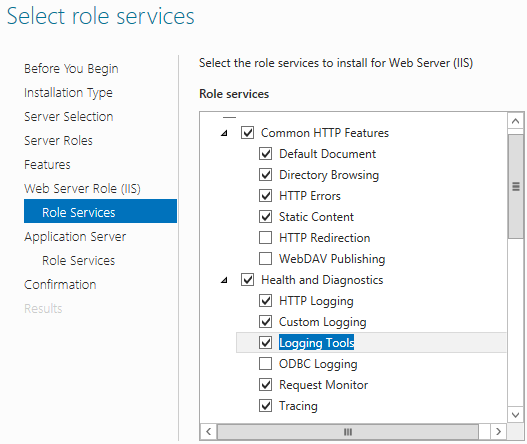 If any office Applications are installed on a server you are about to install OWA, you have to fully uninstall them prior to the OWA installation. Do Not Install OWA on a Domain Controller or any Domain Server runs Critical Services such as DNS or AD DS. Download the Office Web Apps 2013 with SP1 which is the latest version you can download. Also look for the recent Cumulative Updates prior r to go live in production scenarios. It is Assuming that you already have a SharePoint farm Prepared with an Accessible Site Collection. This guide will not go through the SharePoint Server Deployment but only the Integration of Office Web Apps for SharePoint in order to allow your end users to open/edit their Office Documents within the Browser. You must have a Domain User account (Such as SharePoint Farm Account) created in order to Install Office Web Apps. After Creating your Virtual Machine, Login to the same and Prepare it with necessary Network and Domain Configurations such as defining IP addresses and joining it to the respective domain. 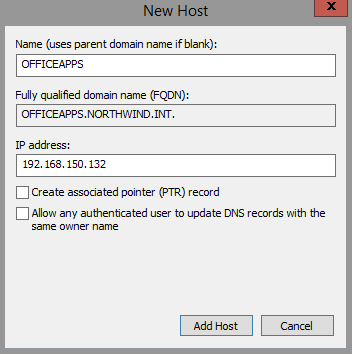 Then Login in to the server using local administrative credentials and add the User Account created for Office Web Apps in to the Local Administrators Group. It might prompt for restarting once finished. Next to create the HostA Record for NLB Cluster Name (Which will be the ultimate Server Name of OWA Farm). Direct to your DNS Server and Simply Create a Host AAA Record points to your Target NLB IP. You need a dedicated IP V4 address for this. Open Up the DNS Manager Console in your DNS Server and Right Click on the Respective Zone and hit New Host (A or AAAA) to create a new Host record. 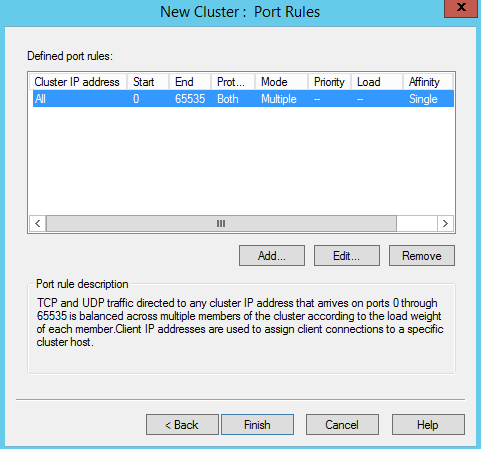 Provide the Name and IP It points to (which is the desired NLB Cluster IP) and hit Add Host to create. Record is ready for you now. 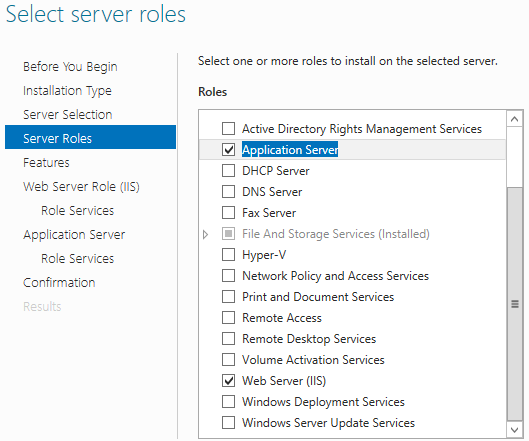 Open up Server Manager and Click Add Roles and Features from the top. This has to be done in both OWA servers. 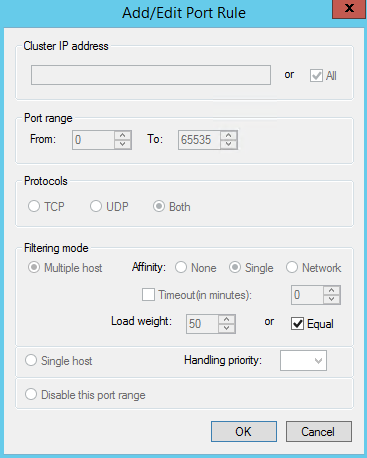 Select the Network Load Balancing from the Feature list and hit Next to Install the feature then restart the server if prompted. 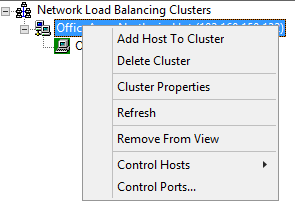 That Installed NLB feature for us and now let’s Setup Load Balancing Cluster. Open up Windows NLB Console from the primary Machine (OWA1). 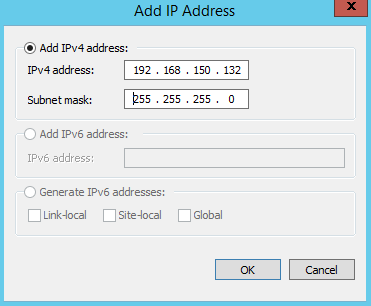 Make sure both Nodes are now ready with IP, Host Names, NLB Feature. 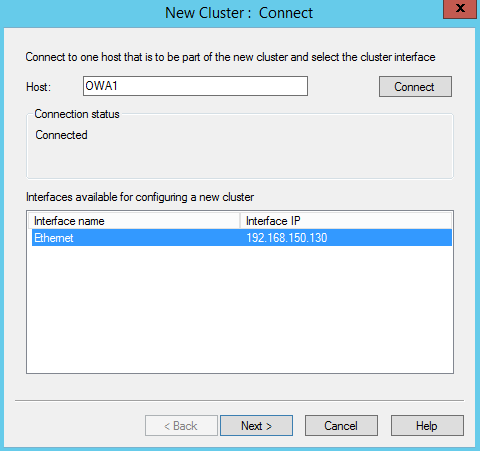 Provide the Name or IP of the Primary Server which will host the Cluster (Local Server). It will automatically resolve the IP and display the interface for you. Simple hit Next to proceed. 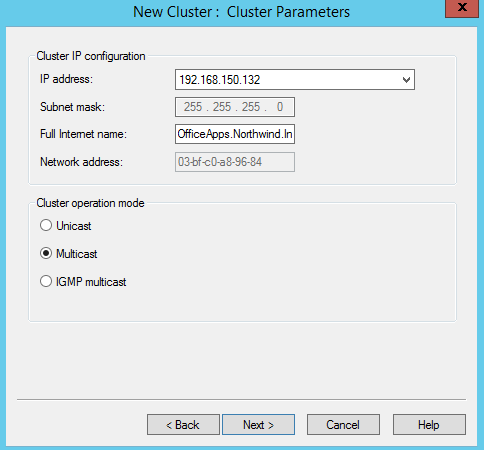 IP Address will be already selected and define the FQDN of the Cluster name here and choose Operation mode based on your network. This server only got a single Network Interface so it has to be Multicast. 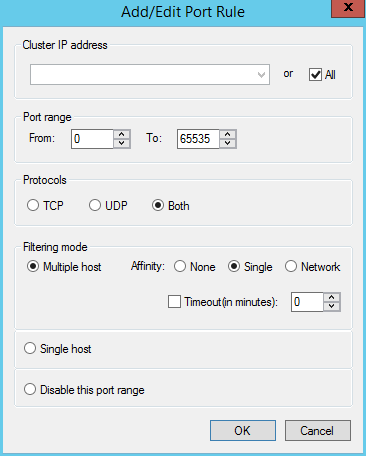 If you have Multiple Interfaces, you may choose Unicast Mode to make it function properly. You can edit the Port Rules to customize Ports or Protocols but not really necessary to get this function. Leaving the defaults will bring us what we need in this case. 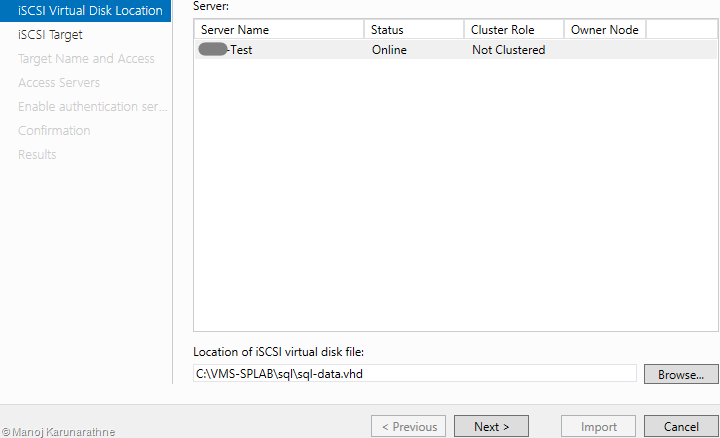 If all went well, you can see the Cluster is created with the defined name and settings and Primary Host is added/Started with green health status. Type the Host Name or IP of your Secondary OWA Machine (OWA2 at this Case). 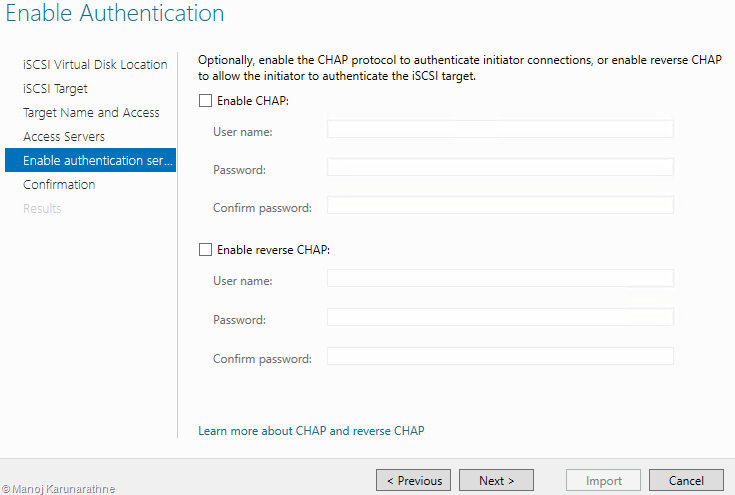 Make sure it can communicate with the primary host and Windows Firewall Exceptions are added or Switched off so nothing will block the communication at this point. If all good, it will resolve the IP over Name and Name over IP as below. Just Hit next to proceed. And then the Port Rules. Load Left as Equal and you can define if you need. Leave it as Default for better load Sharing. And Both nodes will come online and appear as Healthy if you have configured it properly. 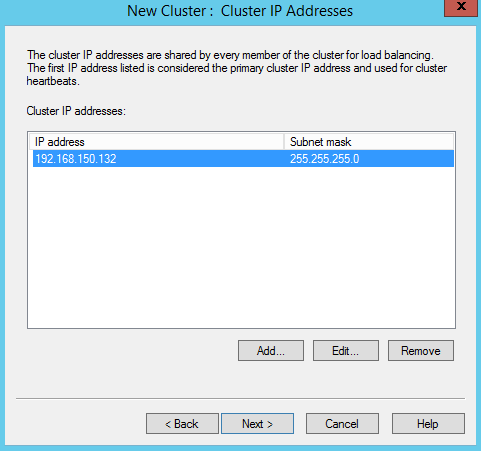 To Verify the Availability of the Cluster, lets ping the Name. 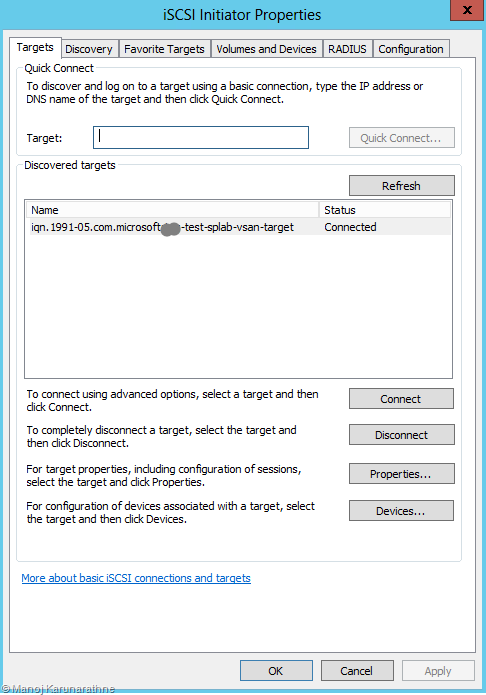 do it from one of the SharePoint Machine so you can identify any issues in the network. So the NLB Cluster is All Set for us. 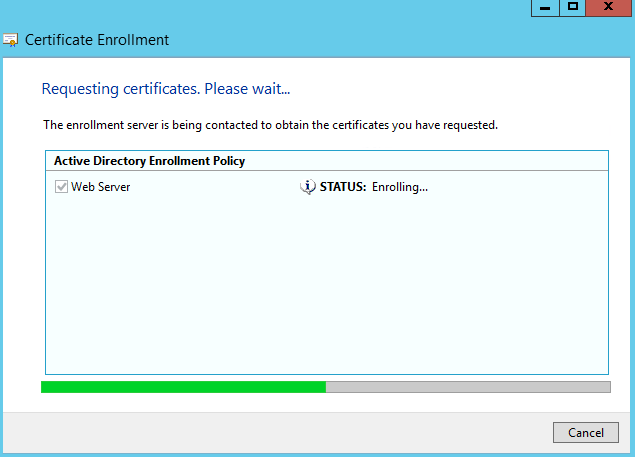 Next is to Prepare the OWA Servers with SSL Certificates. 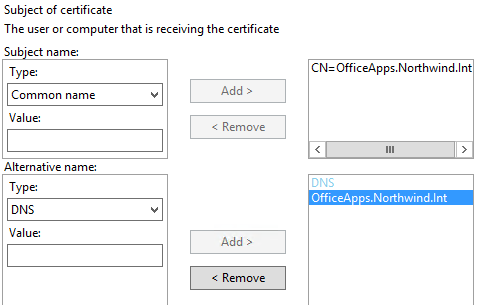 We are using Active Directory Certificate Service to Issue Web Server Certificates for our OWA Farm which will only be trusted and validated within the domain Network. For External Networks Such as Internet you need to purchase a Genuine SSL Certificate from a Third party vendor such as Verisign. If you use Internal Certificates (Such as the one used in this scenario) your OWA WOPI URL will not be Valid for External Access and It Will Prompt the security Message with critical warning of content. So for Production environments, always use a valid Certificate. 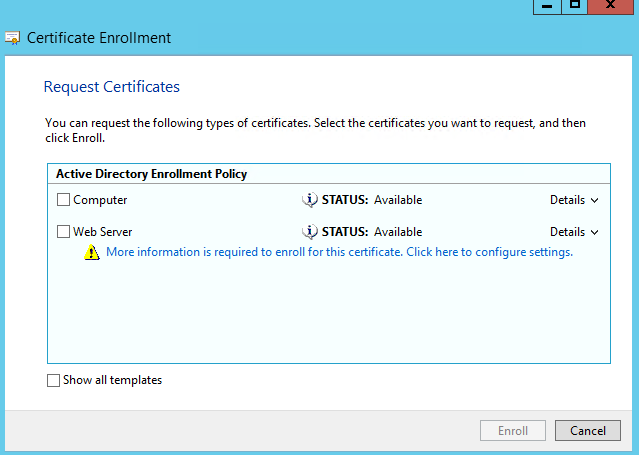 Open up Active Directory Certificate Services from your AD. 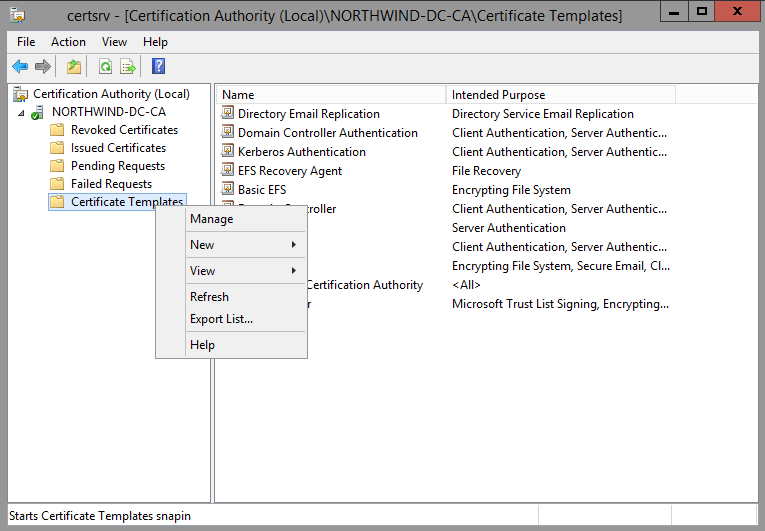 At this point, our NORTHWIND AD will be the ultimate Certification Authority. If you do not have this feature in your AD. 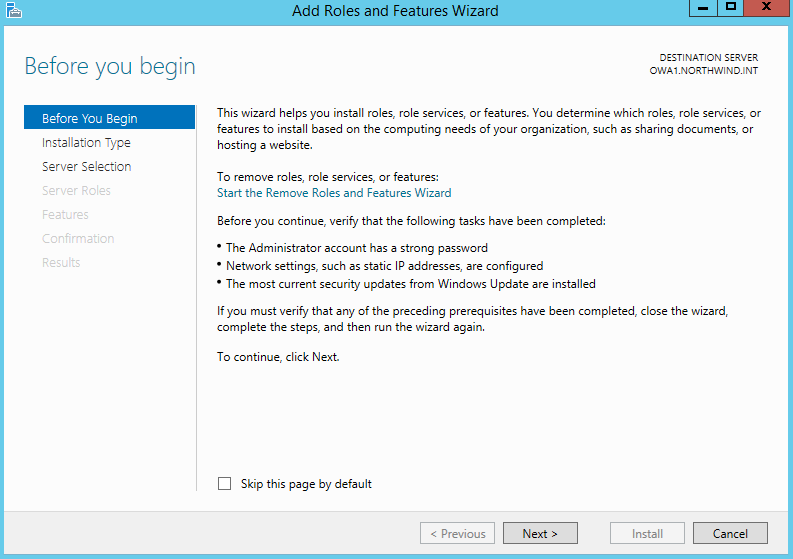 You can Get it installed via Server manager Roles and Feature Installation Wizard. Now the Certificate Templates Console will be Opened for you in Edit mode. Right Click on the Web Server Template and Direct to Properties. 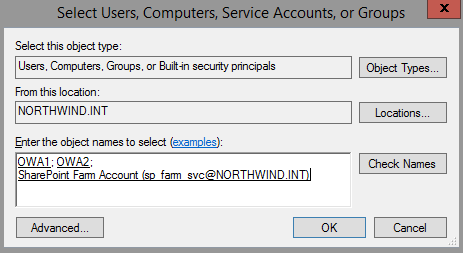 Add the Computer Accounts (OWA1.Northwind.Int |OWA2.Northwind.Int) of your OWA Servers and the Service Account which will be using to setup OWA Farm for following Permissions. 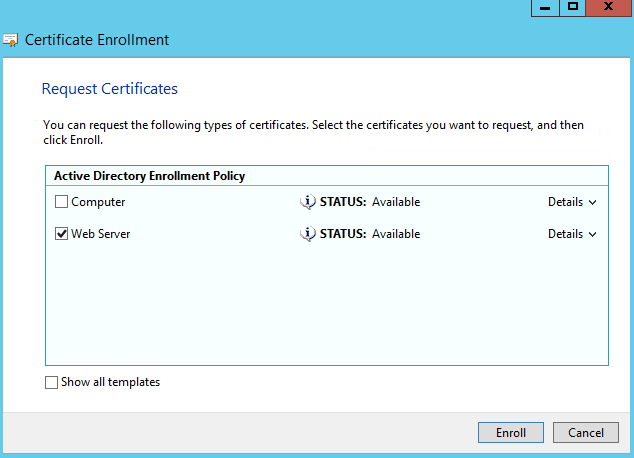 This will enable the Web Server Certificate Template to Enroll from these Two Servers. 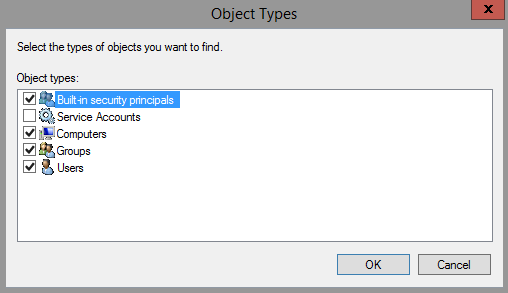 Change Object types to following types. Allow all three objects for Read and Enroll Permissions. That’s all from the Active Directory Side. 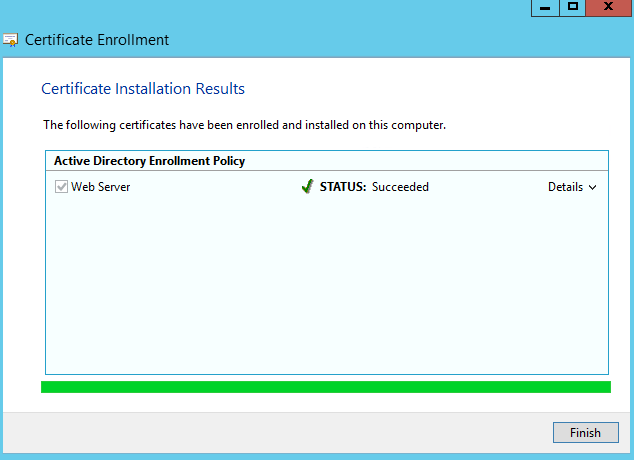 Let’s move back to the OWA Servers and Open up MMC.EXE to Obtain Certificates. 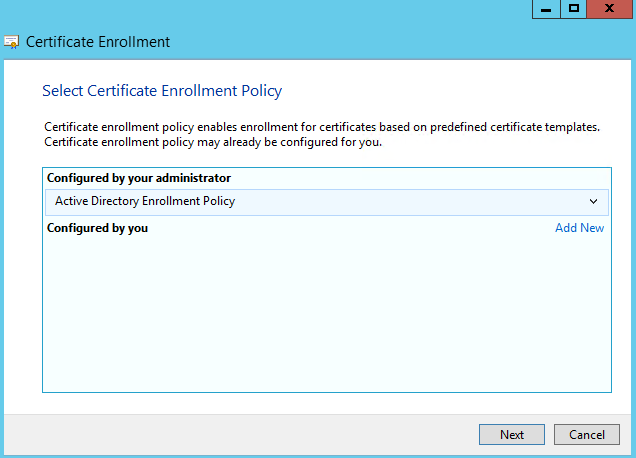 Active Directory Enrollment Policy will be selected by Default here so nothing much to do/ Hit Next here. You will then see the Web Server Policy is highlighted with the Exclamation Mark. Click on the Message there. That will bring you to the Certificate Properties where you will be providing all the details of this certificates. Select the Subject Name Type as “Common Name” and Alternative Name Type as “DNS”. Value for both of these field can be the same which is our OWA Farm Name. Basically this Certificate will be dedicated to the OWA Farm. It won’t validate any other purposes. Yet this may depend on your scenario and Environment. Once Entered, Add them to the selection on the right side. Direct to the General Tab and Provide the same Value for Friendly Name. Friendly name is the Name that you will use to recognize this Certificate at later time when you are pointing this Certificate from other Applications. Description Could be any. Then the Exclamation Message will be gone as you have successfully completed the Indexing of Information of the Certificate. Simply Check the Web Server Check box and Hit Enroll to obtain the Cert. Give it a few seconds and If everything good, the certificate will be successfully enrolled. If you are getting an error here saying that “Server or Service Unavailable”, You might need to restart the Certificate Server Service at your AD Server. 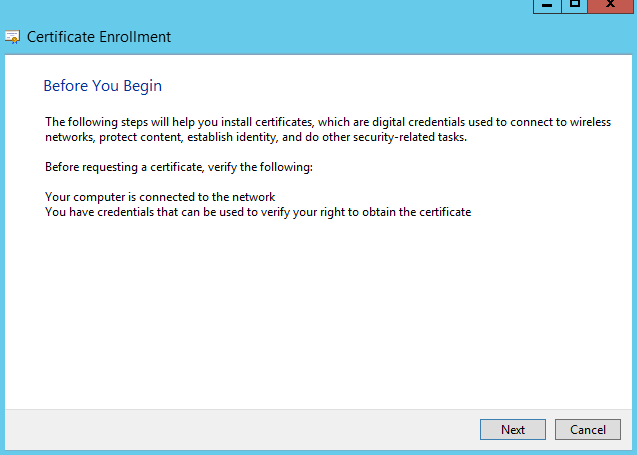 Repeat the same for secondary OWA (OWA2) Server as well and then it completes our SSL Certificate Configuration Part. Here Comes the real thing. As we have completed almost all the Prerequisites and Background Preparations for OWA Farm, we can proceed to the Installation and Farm Deployment. 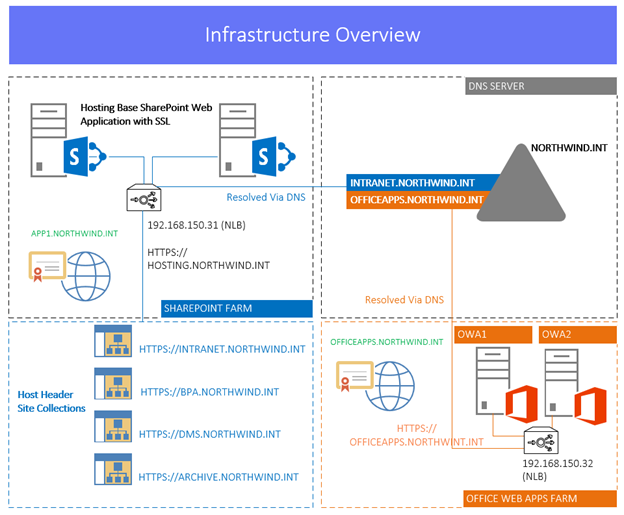 Log in to the OWA Servers using the domain Account (Northwind\sp_farm_svc) you have crated. In this case it’s going to be the SharePoint Farm Account which will be used to Install OWA. 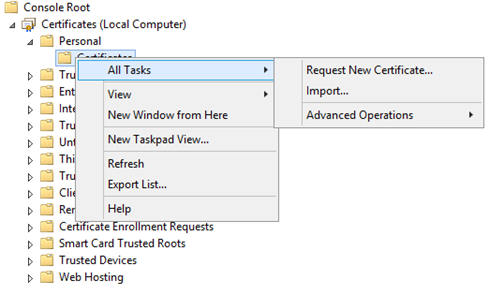 Map the Office Web Apps Server 2013 ISO (With Service pack 1) and Run it. As Always, you have agree to the License terms and Continue to Proceed then. The Success Message will be appeared in just Few Minutes If everything went well. To Create the New OWA Farm. Run the Following Script. If you are using SSL Offloading the Parameters will be bit different. If all went well, you will see the Result as above. And under the Machines it will show the OWA1 which is our Primary OWA Server in this farm. Note the Certificate Binding under the Site Bindings on the Right Panel and the Protocol is HTTPS. Next step is to Join our Second Machine to the OWA Farm. Login to the OWA2 Machine using the same Domain credentials you used to Setup OWA1. 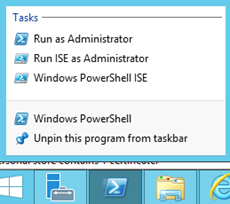 Open the PowerShell ISE as Administrator and run the Following from OWA2. -MachineToJoin (This switch is to Define your Primary OWA Server Name). basically this is the Master Machine. That’s all from the OWA Farm Side. 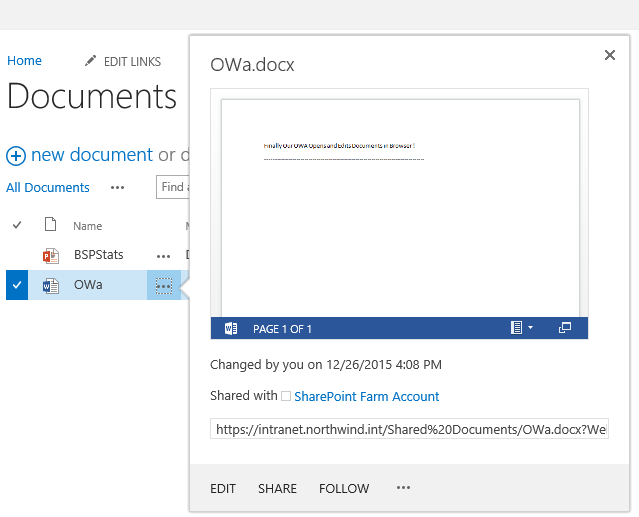 Next step is to Integrate OWA Farm to SharePoint but before that Let’s test our setup. If you are Retrieving this XML Page as below with the parameters. It means you are all good to go. The URL will not show any Warnings about the Certificate or Trust because it is valid internally within our Northind.Int Domain Environment. It will not be valid for Outside access unless it’s a valid External Certificate from a Vendor. SharePoint Environment is already done with a Host Named Site Collection which is also using HTTPS. This Scenario is fully setup for HTTPS in order to test the production level functionality. If you are using HTTPS for OWA Your SharePoint Site must use HTTPS too otherwise there is no point of using HTTPS on OWA. 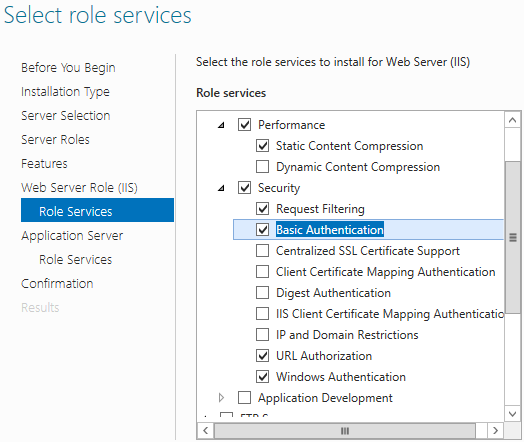 Note: Recommended Way to Deploy OWA is Using HTTPS with a Valid SSL Certificate. HTTP is not recommended and it meant only for testing and Developmental Environments only. 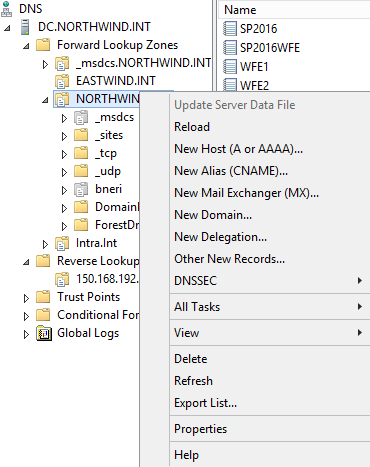 In this scenario, we are using https://intranet.Northwind.Int Host header Site Collection for Integration testing. 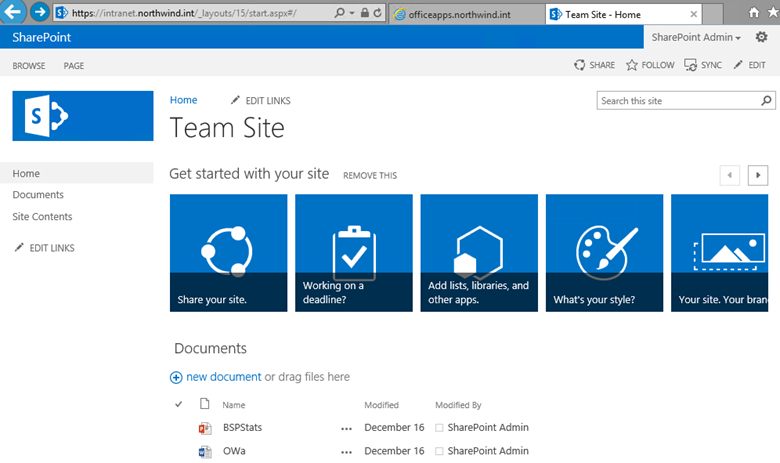 Below is the Default SharePoint Site which has some Sample documents uploaded and all good to go in SharePoint Side. 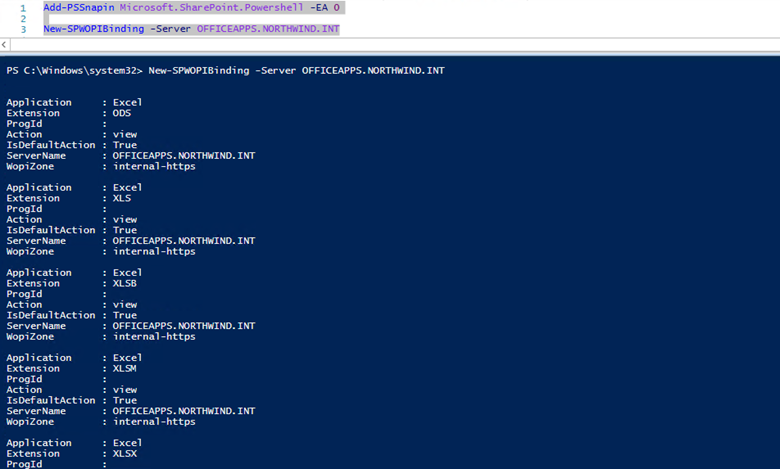 This SharePoint Farm also has two WFE Servers with NLB configured and this URL is fully load balanced with NLB. 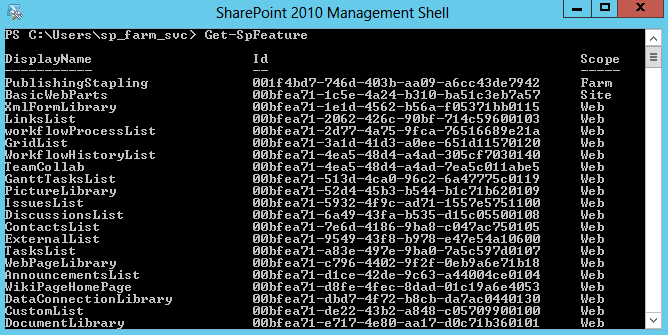 Login to Your SharePoint APP Server and Run the Following in SharePoint Shell or PowerShell ISE. That’s all from the SharePoint Fram side. Let’s test out the functionalities from SharePoint Side now. Note: Do not use Farm Account to test OWA. 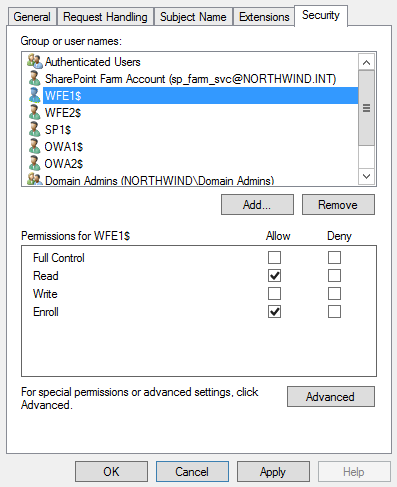 You must use a Different user account to test this as SharePoint Farm account is not allowed to open Documents from browser for security reasons. Server Did Not Respond – Error when Adding WOPI Zone in SharePoint – If you already have some other WOPI Zones this could happen, Or else Due to an Invalid Certificate on OWA Server. Hosting/discovery Doesn’t Load – Mostly this happens if you try to open it from the OWA server itself. Try from another server. Also try to add the secondary Server and then load the URL. 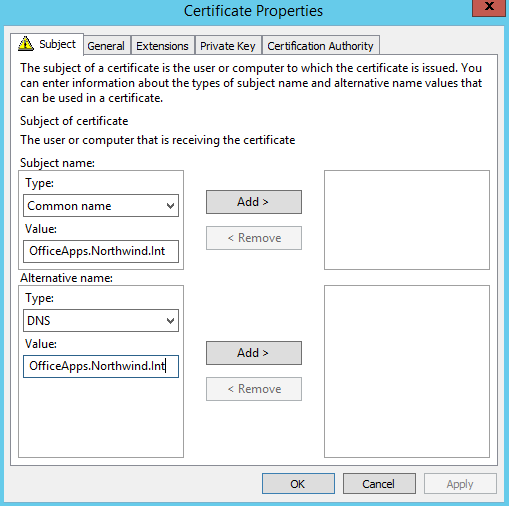 Issue the Certificate for the Relevant Name – IF OWA1 (OWA1) or if OfficeApps.Northwind.int: Cert has to be for the same Name if it’s a SAN Cert. 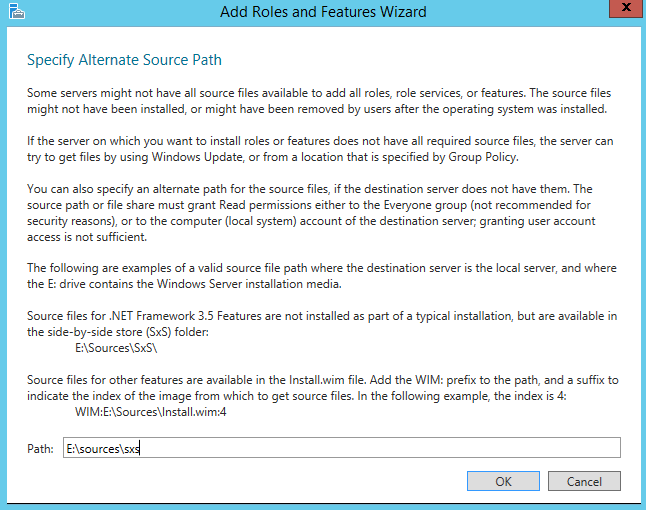 To Test the availability across the Nodes, Shutdown one of the OWA Server and Check the Functionality. If you have completed above steps properly, OWA should work with the remaining node without any issue. 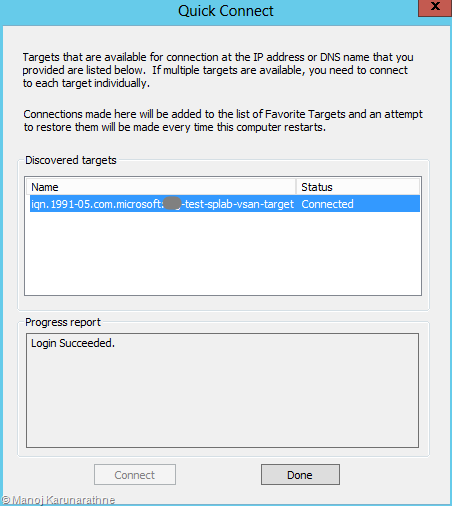 p align=”justify”>I will post another article on Troubleshooting OWA 2013 ………………………………………………. 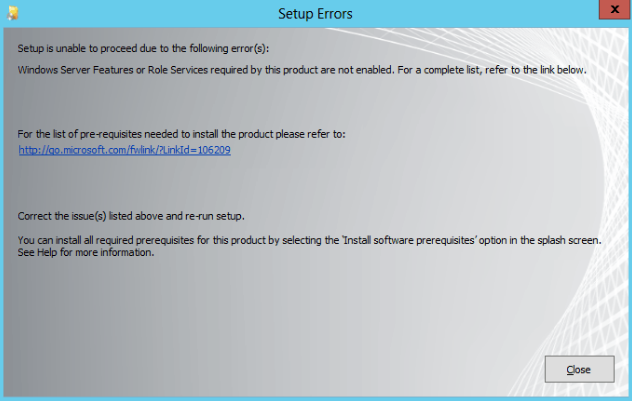 Feature/Role Installation Fails in Windows Server 2012 (Installation of one or more roles, role services, Features failed). Sometimes you will experience that feature installation in windows server 2012 fails commonly on .Net 3.5.
this is because this installation refers to source files which includes in Server 2012 media. by giving the path to SXS folder manually of your media on Confirmation window in Feature installation wizard resolves this as figured below. Now the setup can find the files and the installation would be success. 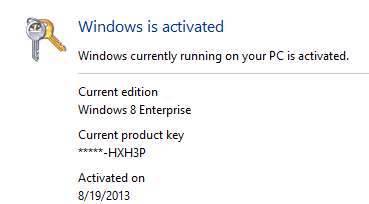 New Windows 8/Server 2012 Operating Systems doesn’t allow you to Change Product key through system properties. 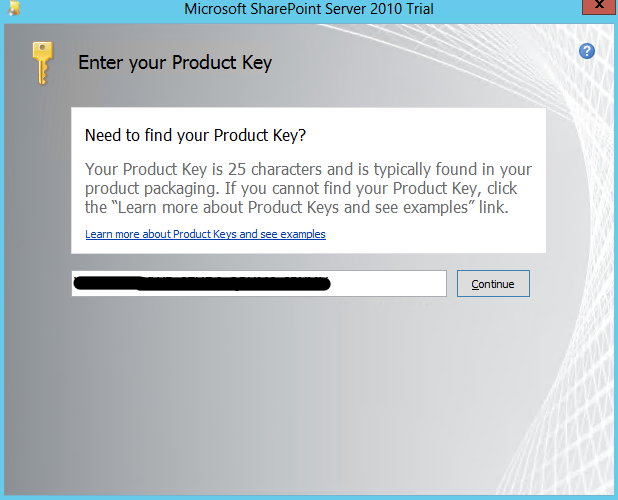 Only way is to change the product key is to run PowerShell CMD let. This is how it shows at system properties. You may activate but not change the key. activating without installing a valid key wont be possible too. 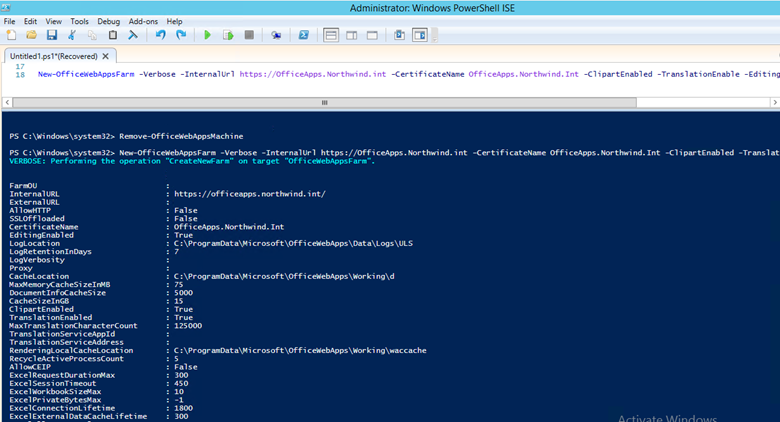 So simply run PowerShell in privileged (run as admin) mode and type below lines step by step. 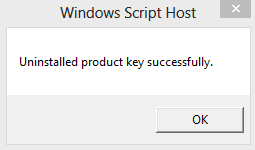 slmgr -ipk XXXX-XXXX-XXXX-XXXX (replace X’es with your Key – this installs the new Product Key) You will see below message if your key is valid with media. Now direct to system properties and click "Activate"
That’s it and enjoy your Genuine OS.. This is a bad? news for SharePointers out there which still has a good news inside as well ;). 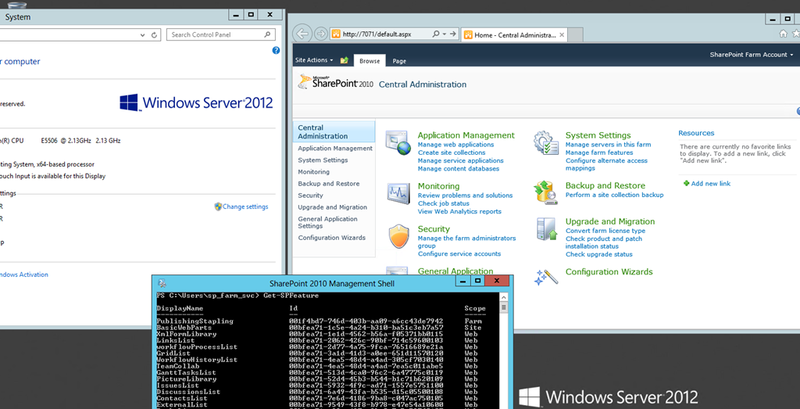 who’s going to deploy SharePoint 2010 on Windows Server 2012? Keep a note below. The Bad News Is – As per Microsoft SharePoint Server 2010 does not compatible with Server 2012 platform and we have to wait till the SharePoint 2010 SP 2 released which will contain the patches and updates accordingly. And here’s The Good News -Yes We have an workaround for this. So, From the point of prerequisites preparation you will get below issues. 2. Even Though you have got all prerequisites Installed either manually or through a script, SharePoint Server Installer still says ‘Windows Server Roles or Features required by this product are not Enabled’. 3. Let’s say you have passed all above barriers somehow. Still you get some other issues after installing and provisioning the farm. Let’s see how we can get this done and here are the workarounds you have. 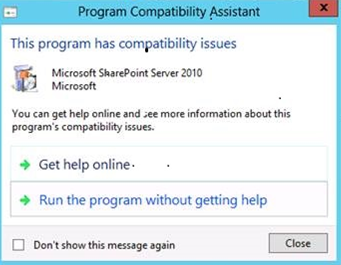 Note : None of these workarounds are officially supported by Microsoft and still the best solution for now is to have SharePoint 2010 on Windows Server 2008 R2. 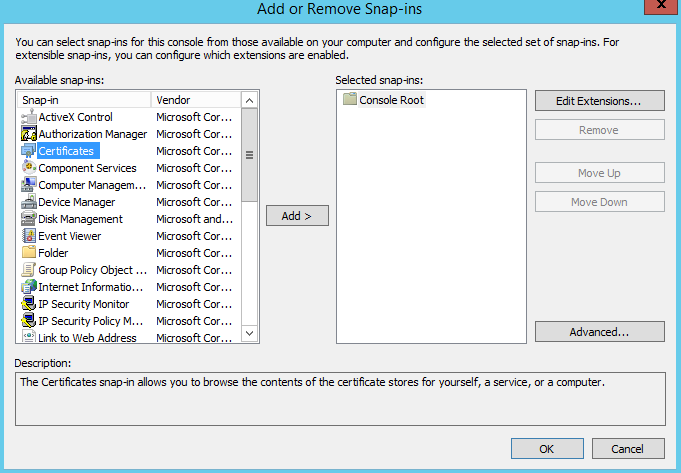 If you are Installing SharePoint server 2010 on SQL Server 2012, make sure you have the media which has SharePoint 2010 SP1 included. None SharePoint SP 1 doesn’t support SQL 2012. 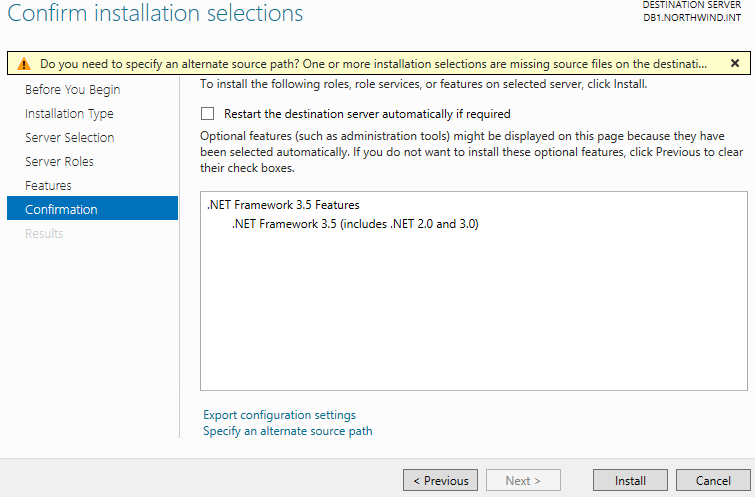 Running this script before you Install SharePoint will do everything above so nothing to be done manually. Just go ahead and install SharePoint right after this. I didn’t go through the above PowerShell script as I needed to know each and every points basically what we fix and where. So here are steps with detailed descriptions on the manual workaround which worked for me. 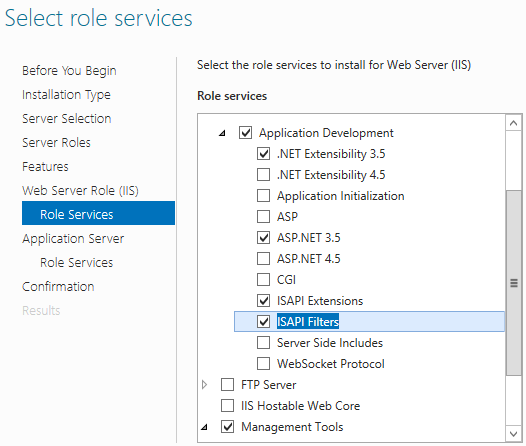 Enable Windows features and roles via Server manager. To do this, Direct to Server manager –> Manage –> Add roles and features and Select below roles. 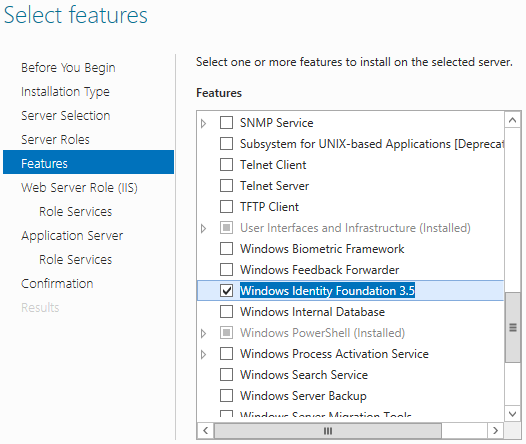 Go Forward and select Windows identity Foundation 3.5 for .Net framework 3.5 under features. It’s good so you don’t have to download It anymore as Serer 2012 contains the feature out of the box. Below List of services need to be selected under IIS Role. Go ahead and install them and that’s all from the Prerequisites side. Go and run the Setup.exe and you will get the issue no 2 I have mentioned above ‘Windows Server Roles or Features required by this product are not Enabled’. Don’t worry, one guy out there has done a great job. It’s all about just Downloading Hand.ServerManagerCmdEmul – Binaries from here and copy ServerManagerCmd file in to – C:\Windows\system32 in your SharePoint Server. Additionally from there you can get the Hand.ServerManagerCmdEmul – Sources project file as well. Boom ! You wont see that error now. So Go ahead and get the product installed. 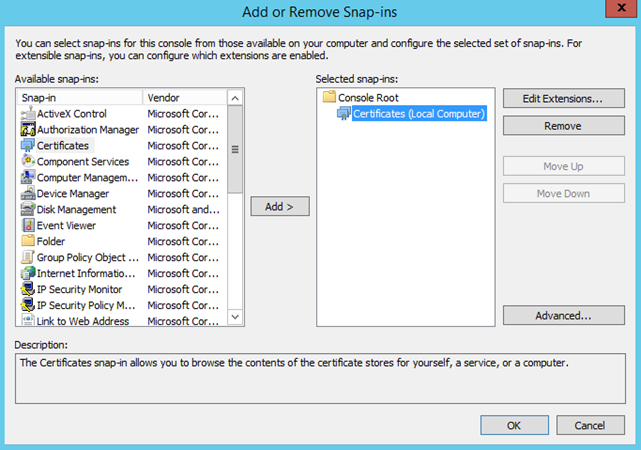 Once you complete the installation you will notified for product configuration wizard. Go ahead and get your farm configured. End of the wizard, again the next issue will pop up. 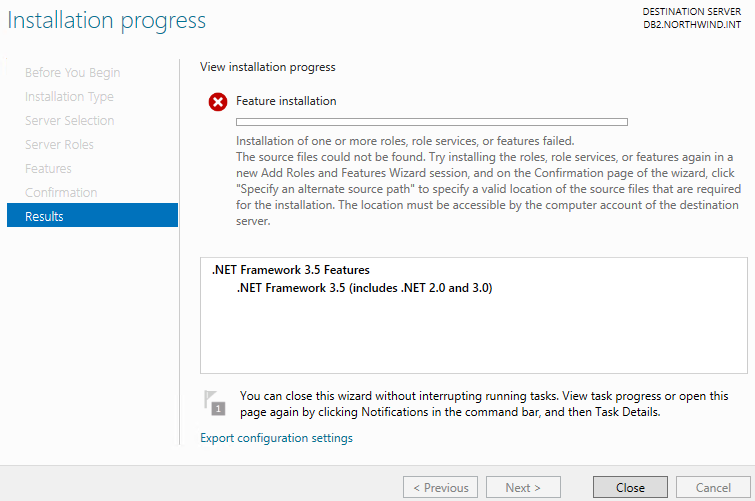 Yes the issue number 3.1 which I have mentioned above, ‘Configuration failed’. 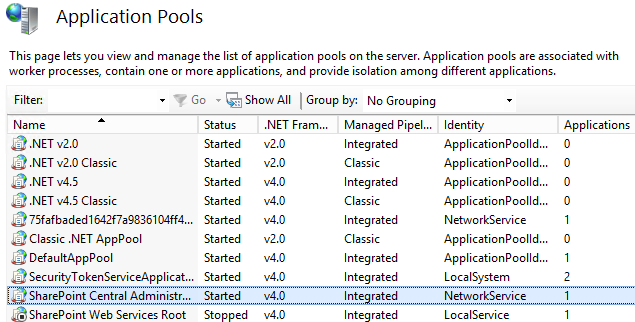 This is because SharePoint 2010 needs .Net farmework 2.0 in IIS App Pools. At this stage, all the app pools and sites has been created under IIS. Let’s go there and have a look. Yes they are ! Right click on each pool –> advanced settings –> and set the .Net version to 2.0 (ignore the .Net v4.5 and .Net v4.5 Classic) it should look like this once you done. Now Run the Product Configuration Wizard again and it should complete successfully. Here we go.. ! Your Central Admin loaded. 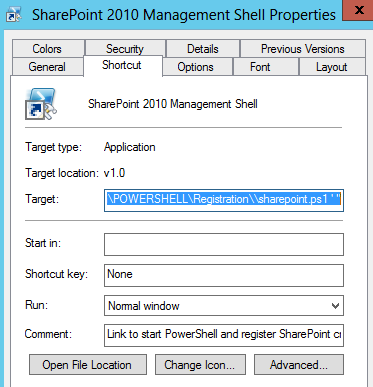 In order to make use of the powershell commands with sharePoint 2010 on Server 2010, we need to switch the powershell version back to version 2. Note: This will not uninstall version 3, it will simply launch a new powershell instance that uses version 2.
replace the Existing Target value in to – C:\Windows\System32\WindowsPowerShell\v1.0\PowerShell.exe -version 2.0 -NoExit " & ‘ C:\Program Files\Common Files\Microsoft Shared\Web Server Extensions\14\CONFIG\POWERSHELL\Registration\\sharepoint.ps1 ‘ "
Let’s go and try now. Yeah Now the Shell back to Rock !! Yet Another very useful and free tool from Microsoft. 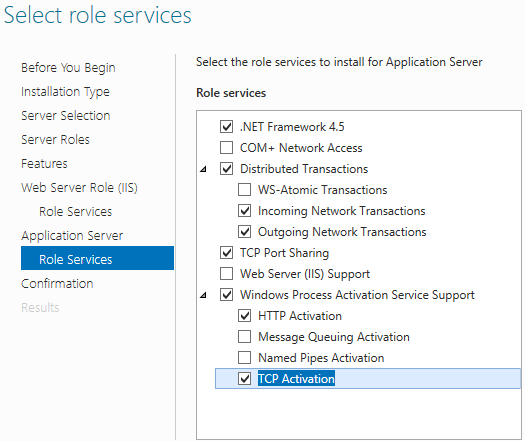 If you remember the earlier version of this feature, it was an downloadable application where you can install separately but now with latest version of windows server 2012 it has been bundled in as a feature under roles and features. I was heavily using iSCSI software target for my testing purposes where I needed an Virtual SAN such as on SQL/Windows Clustering etc.. I loved this because I got the real SAN Experience without any hardware or software cost. You can read my previous article if you are a pre windows 2012 user. Note: This Tool only for Testing purpose and not recommended to propose for production environments. 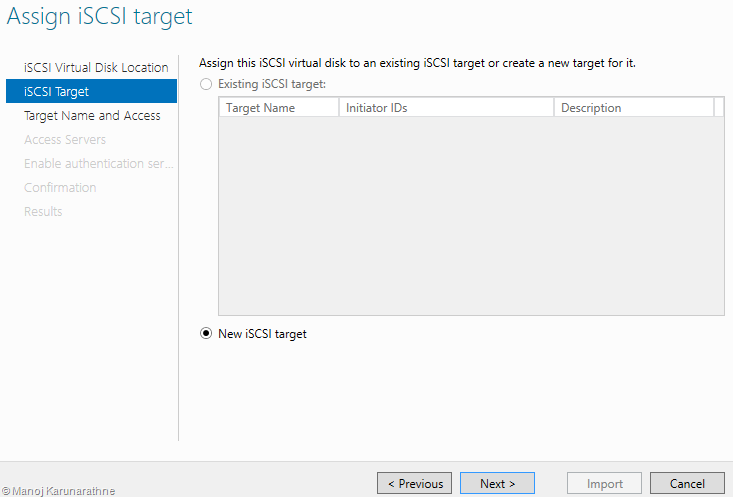 Windows 8 Doesn’t Support this Feature anymore, you cannot install iSCSI software target 3.0 nor the ISNS server. This has been detached from client Operating systems. Alright, Here is the scenario, I have two servers where I need this to be configured with. So Let’s get configured this server. 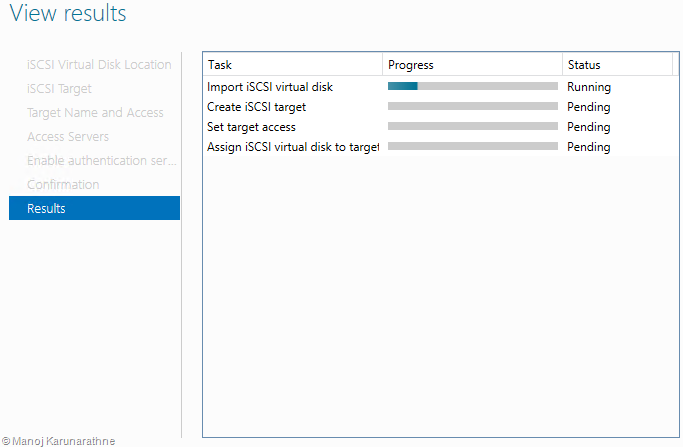 Now direct to Server manager of Target Server and in to iSCSI tab like shown below. Basically this is the interface you manage your SAN here after. Looks pretty nice huh ? !! So the next thing is to get our virtual disks created which should include in to our Target. 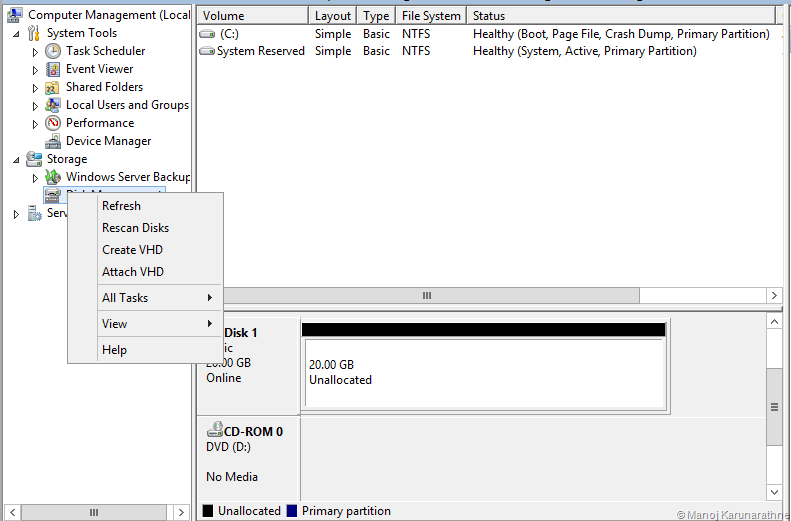 Two methods to get it done, Either From the above tab simply click on Tasks and say New virtual Disk and completing that steps will create your disk/s else as usual go to disk management and right click on Disks and say Create VHD as shown below so it does the same. Browse and locate your disk here and click next. Now to assign Target. This simply means the configuring of our Target Server. Choose New Target and hit next. Yes the important part now, specifying server which are will be accessing this target server. In my case it’s my SQL Servers that I’m about to cluster. Click Add. Select the method to identify the initiators here. Authentication is optional so can be ignored. Have a look at the summary and hit Import to proceed. Everything gone perfectly. Cool result UI huh ! Direct again in to Server Manager and check the result. of course you can expand your SAN by adding more disks in to pool. Let’s configure the Initiator Servers now. 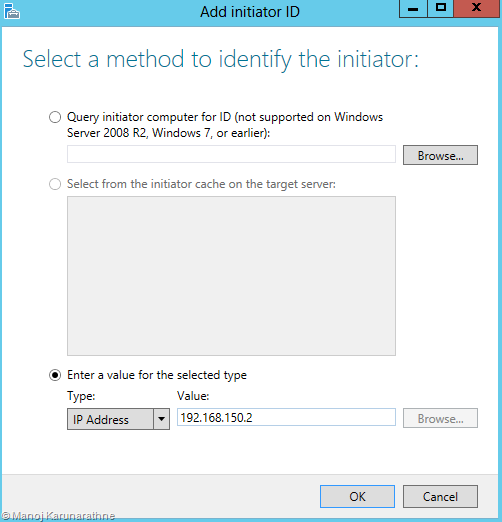 Just type iSCSI on search and launch it (iSCSI initiator – readily available on windows servers). Say yes to the massage to start the service. So we are success here. Say done to close this. 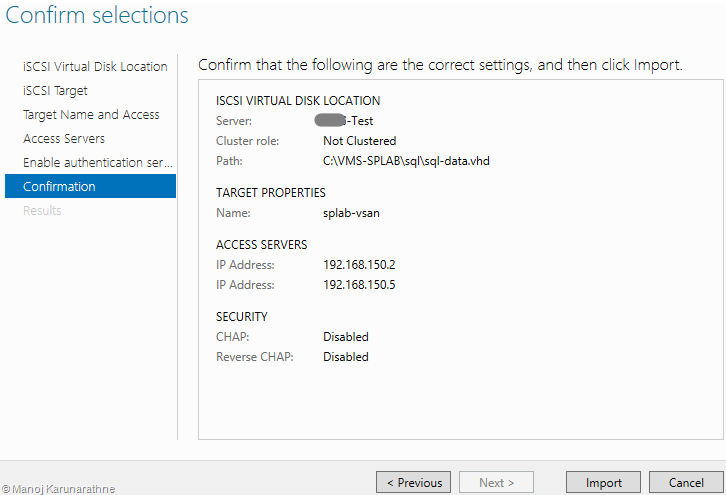 Direct to Volumes and devices and click auto configure so whatever the available disks of SAN storage pool will be mapped in. say ok for this window.